Who was the West Wind? In Greek mythology, the West Wind was Zephyrus, one of the four wind gods. 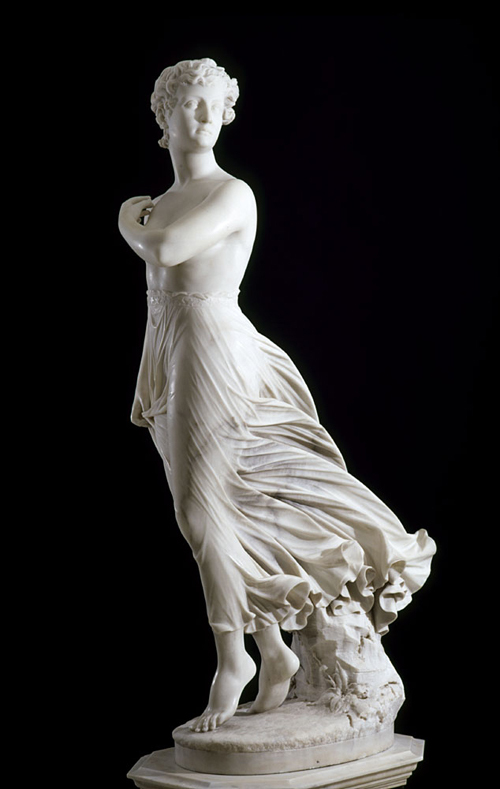 Perhaps the maker of this work, who was influenced by the mythological subjects that he saw in Italy, was describing the West Wind by showing its effect on the figure's hair and skirt. Another interpretation suggests that the sculpture is an idealized expression of the United States's westward expansion. It was exhibited at the Centennial Exhibition in Philadelphia on the occasion of the nation's hundredth birthday in 1876. The starred belt on the waistband of the figure's clothing could refer to the stars on the American flag.